Give my love to my very dear Dada Vaswani and to dear Jashan and all dear ones of the Saint Mira High School, who remember me and love me. 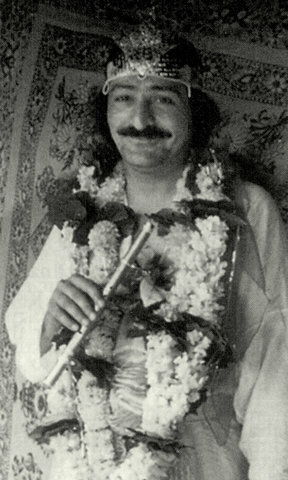 I was Rama, I was Krishna, I was this One, I was that One, and now I am Meher Baba. In fact, in this form of flesh and blood, I am the same Ancient One who alone is eternally worshiped and ignored, ever remembered and forgotten. I am that Ancient One whose past is worshiped and remembered; whose present is ignored and forgotten, and whose future advent is anticipated with great fervor and longing.